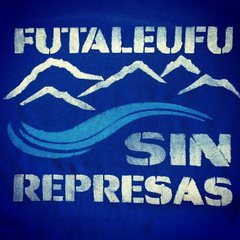 Futaleufu Sin Represas Local Design - Stencil designed by a local community member and business owner to unite the community and provide a free way for both residents and visitors to design their own shirts. 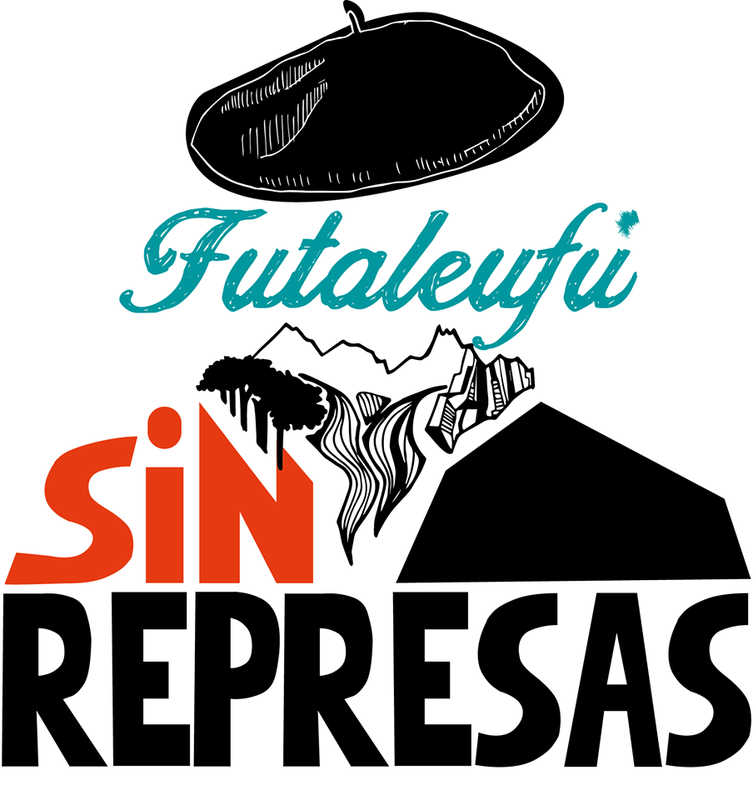 Futaleufu Sin Represas - Design for local Futaleufu Sin Represas (Without Dams) campaign by Isabel Acuña. Used to connect local leaders and align communities with the larger Patagonia Sin Represas campaign, as well as the new Chile Sin Represas campaign being launched in 2016. This Study is threatening at least seven major watersheds with hydro development. If it is allowed to become national Energy policy, it will generate significant conflict in these "sacrifice watersheds"
Chile’s current Minister of Energy is finalizing a Watershed Mapping Study to prioritize hydro development in conflict watersheds. If implemented as policy, the study would facilitate construction of several large dams in the Yelcho Watershed, as well as dams in at least six other major watersheds. In the Yelcho watershed, the company which owns the water rights and would benefit from the policy is Endesa, the same company which dammed the Bio Bio River and was a partner in the HidroAysen project which was defeated in 2014. If the Minister of Energy is allowed to implement the study as national policy, it will make it easier for Endesa to gain approval for building dams in the Yelcho watershed, particularly along the Futaleufu River. 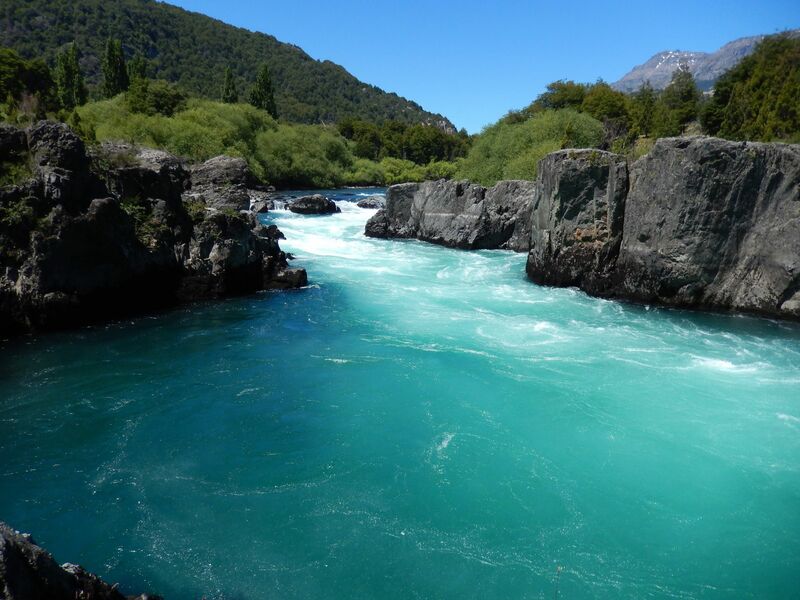 The study has produced significant conflict in the Comuna of Futaleufu, which rejects national efforts to sacrifice its rivers for hydropower. Nearly all of this power would be exported out of the watershed to supply industry in other parts of Chile and Argentina. Project Details Three major waterways in the Yelcho watershed are at risk of being diverted if this study is implemented as policy, as well as rivers in at least six other major watersheds in Chile. While the final results of the study have yet to be released, the most recent hydro project announced in the watershed by Italian-Spanish conglomerate ENEL-Endesa consisted of three large dams totaling 1,390 MW of energy. Company Names or State Enterprises Endesa (Endesa) from Italy - Private actor which controls water rights in the watershed and needs national energy policy to favor construction of large dams. Environmental justice organisations and other supporters Patagonian Defense Council; Futaleufu Riverkeeper; Ecosistemas; Kayak Stewards Alliance; Fundacion Terram; Futaleufu Mountainfilm; Patagonia Inc.
Enlistment of filmmakers and celebrities to champion the cause of local communities. 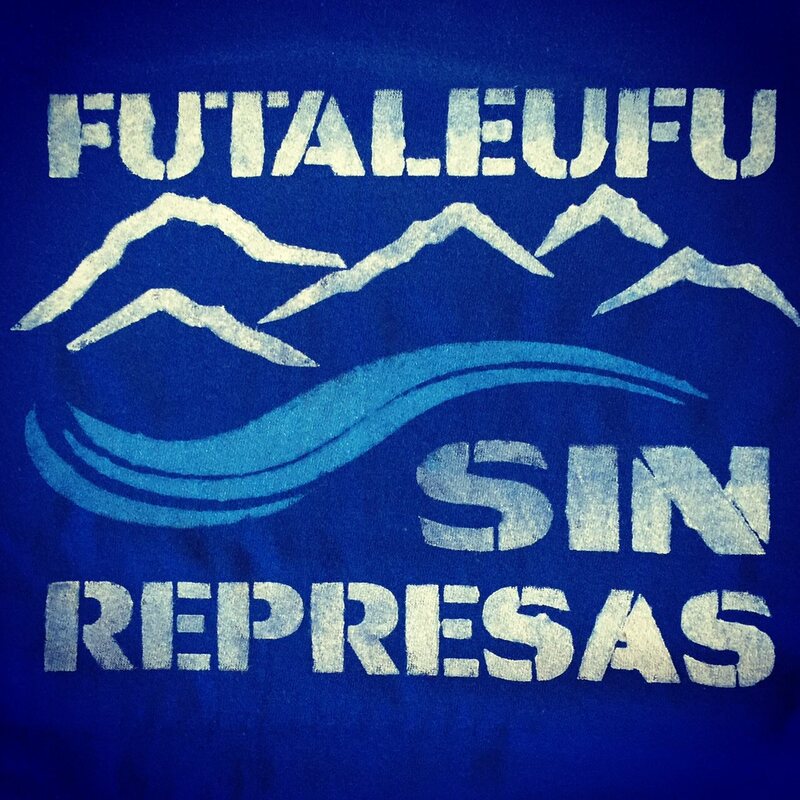 Futaleufu Sin Represas Local Design Stencil designed by a local community member and business owner to unite the community and provide a free way for both residents and visitors to design their own shirts. 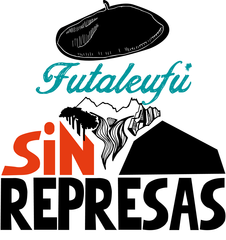 Futaleufu Sin Represas Design for local Futaleufu Sin Represas (Without Dams) campaign by Isabel Acuña. Used to connect local leaders and align communities with the larger Patagonia Sin Represas campaign, as well as the new Chile Sin Represas campaign being launched in 2016.